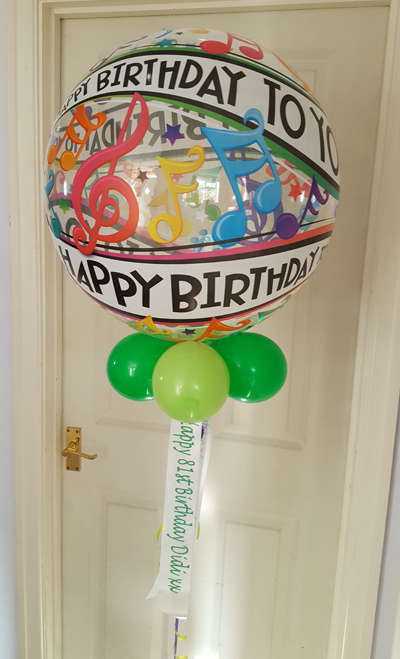 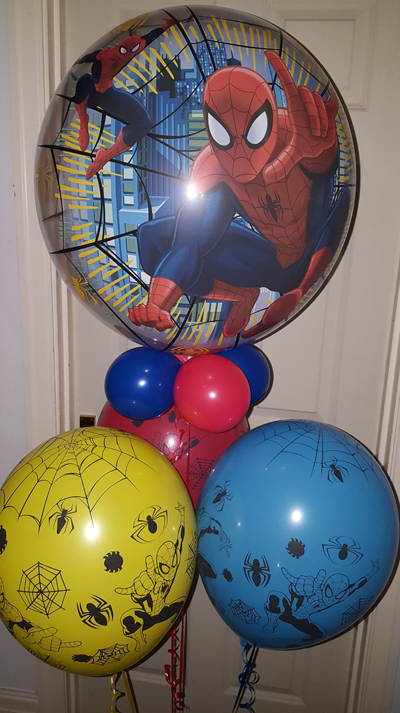 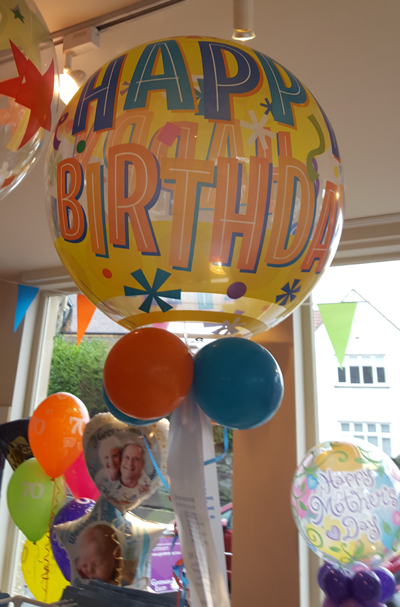 A 22" helium filled bubble balloon available in a wide variety of patterns and prints with a collar of smaller latex balloons, attached to a decorative weight. 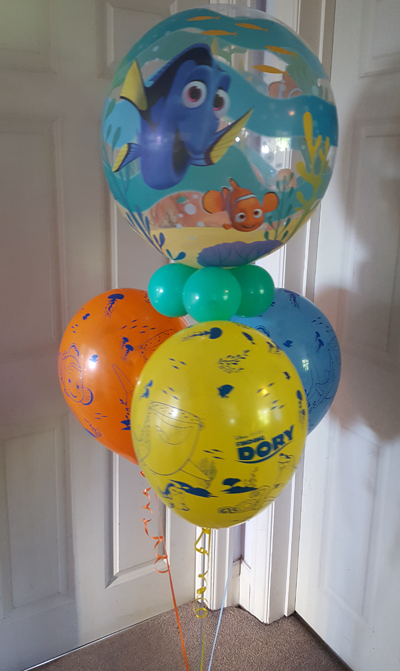 These Bubble balloons have the shape of a large beach ball, these are our longest lasting balloons and will stay inflated for between 2 and 4 weeks under normal conditions. 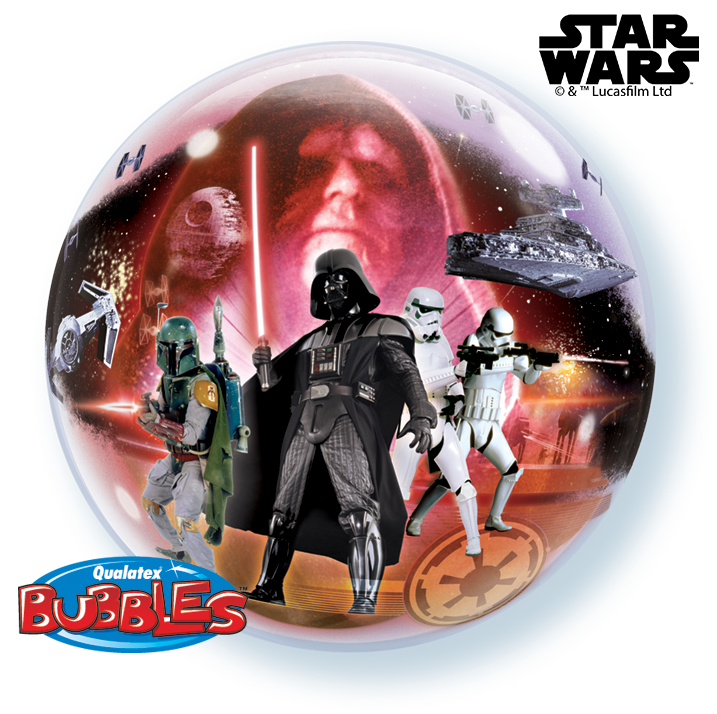 The bubble is available in most milestone ages and a huge number of special occasions. 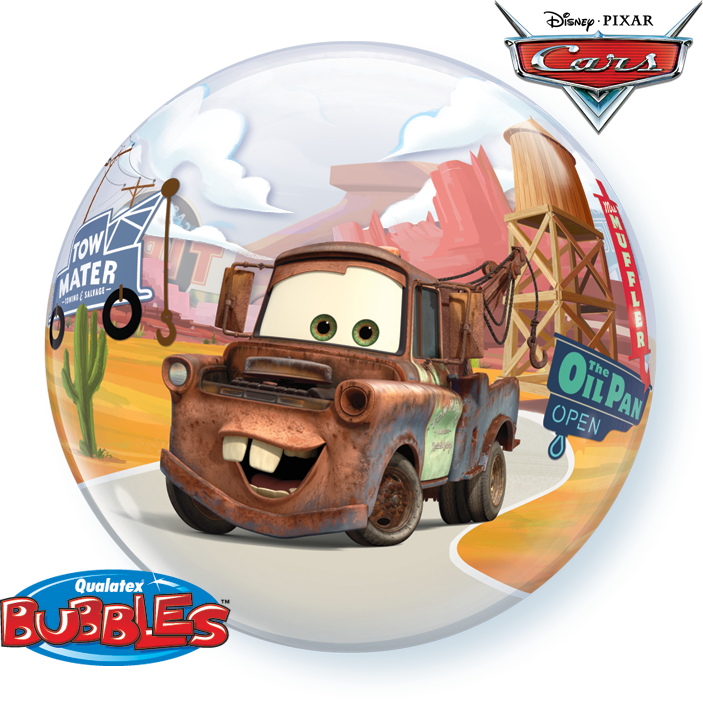 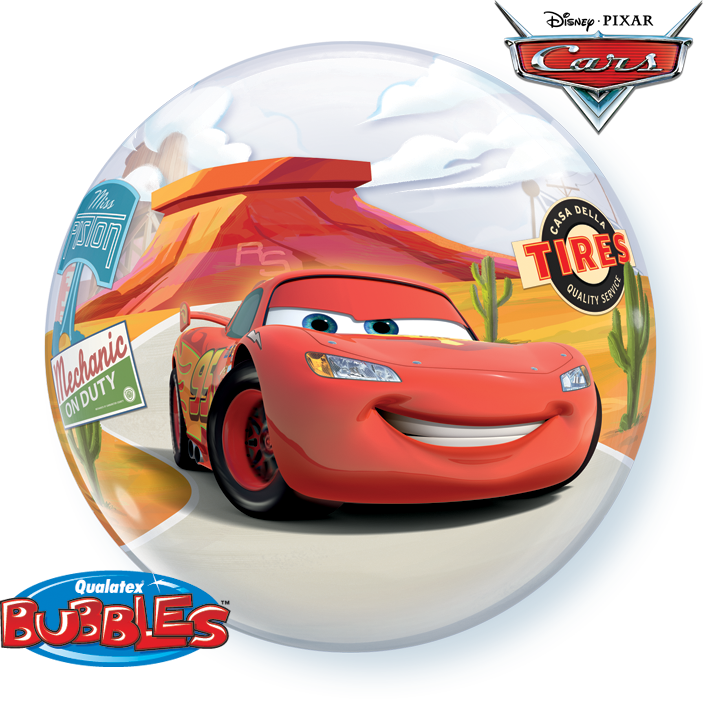 There is also a large range of children designs including licensed images from Disney, Pixar, Marvel and other popular characters. 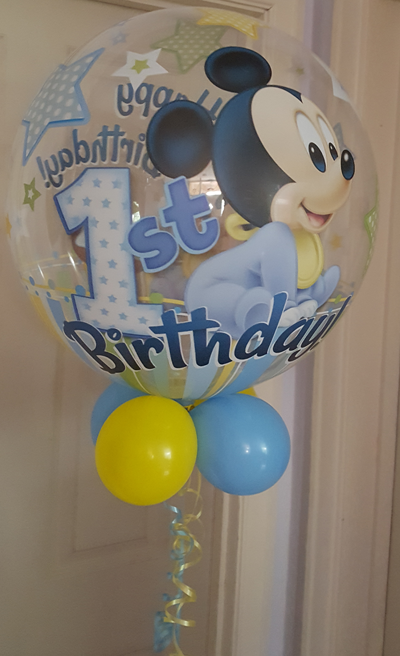 With such a variety these balloons make a nice gift for new born baby or as a birthday surprise. 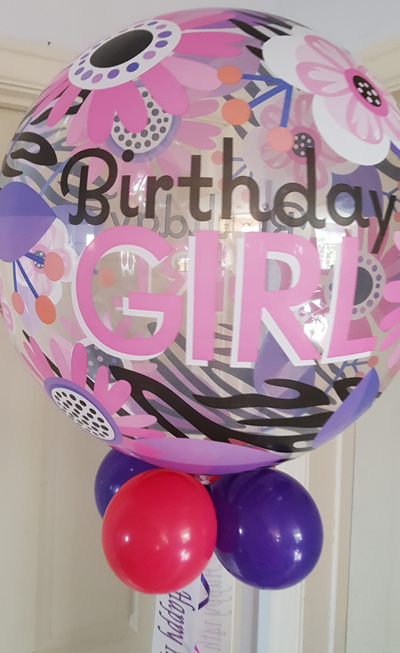 The collar is made of 4 little latex balloons in matching or complimenting colours.